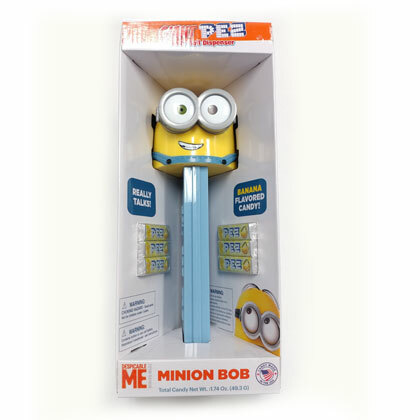 This giant Pez dispenser comes with 6 rolls of specially made banana flavored Pez candies. When you open the head a whole roll of Pez is dispensed and the dispenser talks! Net weight 1.74 oz.